Linda R. Tropp is Professor of Social Psychology at the University of Massachusetts Amherst. Her research concerns how members of different groups approach and experience contact with each other, and how group differences in power or status affect views of and expectations for cross-group relations. She also studies how group memberships can be important aspects of the self, and how individuals' identities as group members can influence their feelings about themselves, their groups, their social experiences, and their feelings toward members of other groups. Professor Tropp has received the Allport Intergroup Relations Prize from the Society for the Psychological Study of Social Issues for her research on intergroup contact, the Erik Erikson Early Career Award for distinguished research contributions from the International Society of Political Psychology, and the McKeachie Early Career Teaching Award from the Society for the Teaching of Psychology. 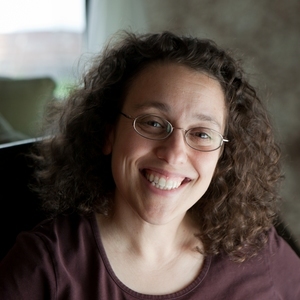 Dr. Tropp is also a Fellow of the American Psychological Association, the Society of Experimental Social Psychology, and the Society for the Psychological Study of Social Issues, and she currently serves on the editorial boards of Personality and Social Psychology Bulletin and Group Processes and Intergroup Relations. She has worked with state and national initiatives to improve interracial relations, and with non-governmental and international organizations to evaluate applied programs designed to reduce racial and ethnic conflict. Pettigrew, T. F., & Tropp, L. R. (2011). 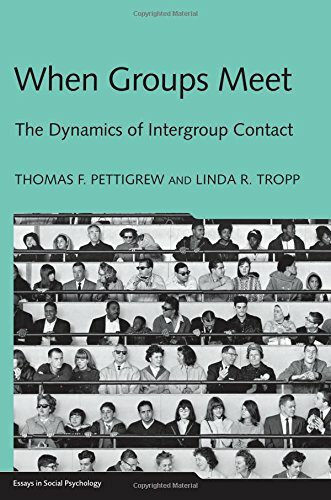 When groups meet: The dynamics of intergroup contact. Philadelphia, PA: Psychology Press. Tropp, L. R. (Ed.) (2012). 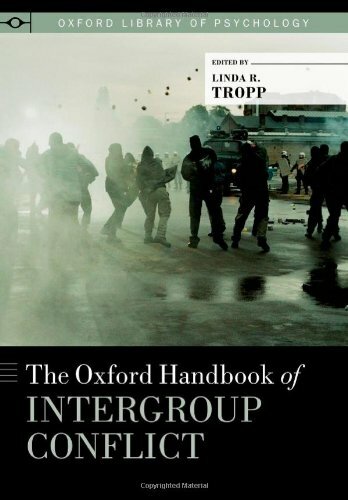 Oxford handbook of intergroup conflict. New York: Oxford University Press. Tropp, L. R., & Mallett, R. K. (Eds.). (2011). 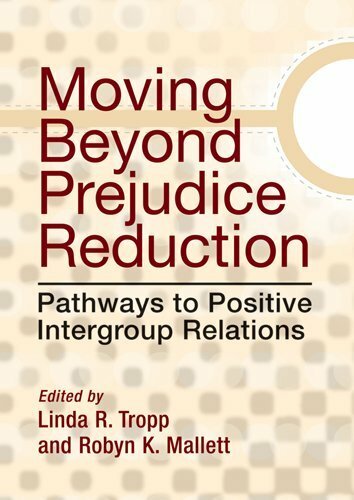 Moving beyond prejudice reduction: Pathways to positive intergroup relations. Washington, DC: American Psychological Association. Wagner, U., Tropp, L. R., Finchilescu, G., & Tredoux, C. (Eds.). (2008). 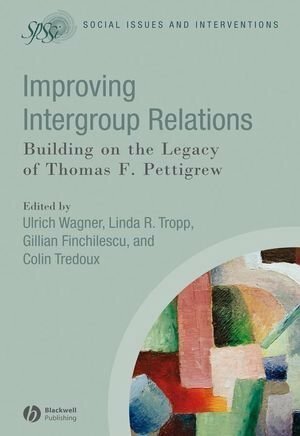 Improving intergroup relations: Building on the legacy of Thomas F. Pettigrew. SPSSI Series on Social Issues and Interventions. Malden, MA: Wiley-Blackwell. Dixon, J., Tropp, L. R., Durrheim, K., & Tredoux, C. (2010). "Let them eat harmony": Prejudice-reduction strategies and attitudes of historically disadvantaged groups. Current Directions in Psychological Science, 19, 76-80. Frey, F. E., & Tropp, L. R. (2006). Being seen as individuals versus as group members: Extending research on metaperception to intergroup contexts. Personality and Social Psychology Review, 10, 265-280. Page-Gould, E., Mendoza-Denton, R., & Tropp, L. R. (2008). With a little help from my cross-group friend: Reducing anxiety in intergroup contexts through cross-group friendship. Journal of Personality and Social Psychology, 95, 1080-1094. Pettigrew, T. F., & Tropp, L. R. (2008). How does intergroup contact reduce prejudice? Meta-analytic tests of three mediators. European Journal of Social Psychology, 38, 922-934. Pettigrew, T. F., & Tropp, L. R. (2006). A meta-analytic test of intergroup contact theory. Journal of Personality and Social Psychology, 90, 751-783. Tropp, L. R. (2008). The role of trust in intergroup contact: Its significance and implications for improving relations between groups. In U. Wagner, L. R. Tropp, G. Finchilescu, & C. Tredoux (Eds. ), Improving intergroup relations: Building on the legacy of Thomas F. Pettigrew (pp. 91-106). Malden, MA: Blackwell. Tropp, L. R. (2007). Perceived discrimination and interracial contact: Predicting interracial closeness among Black and White Americans. Social Psychology Quarterly, 70, 70-81. Tropp, L. R., & Bianchi, R. A. (2007). Interpreting references to group membership in context: Feelings about intergroup contact depending on who says what to whom. European Journal of Social Psychology, 37, 153-170. Tropp, L. R., & Bianchi, R. A. (2006). Valuing diversity and intergroup contact. Journal of Social Issues, 62, 533-551. Tropp, L. R., & Pettigrew, T. F. (2005). Differential relationships between intergroup contact and affective and cognitive indicators of prejudice. Personality and Social Psychology Bulletin, 31, 1145-1158. Tropp, L. R., & Pettigrew, T. F. (2005). Relationships between intergroup contact and prejudice among minority and majority status groups. Psychological Science, 16, 951-957.